HOW MUCH DOES IT COST TO BUY A CONDO IN TORONTO? We break down the math on how much it costs to buy a condo in Toronto in 2019. From closing costs and land transfer taxes to buyer rebates and mortgage rates. I think the best place to start, especially if you’re new to the Toronto condo market, is to show you what condos for sale in Toronto are going for these days. Below you’ll find the average condo prices for 2018 from most affordable to least affordable. 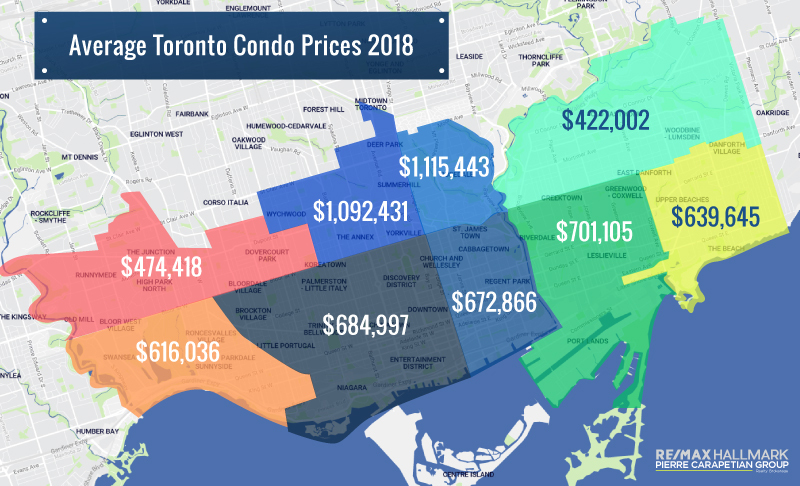 If you’re wondering what the best area to buy a condo in Toronto is, it depends on a lot of different variables but looking at the different price points across the city is a good place to start. 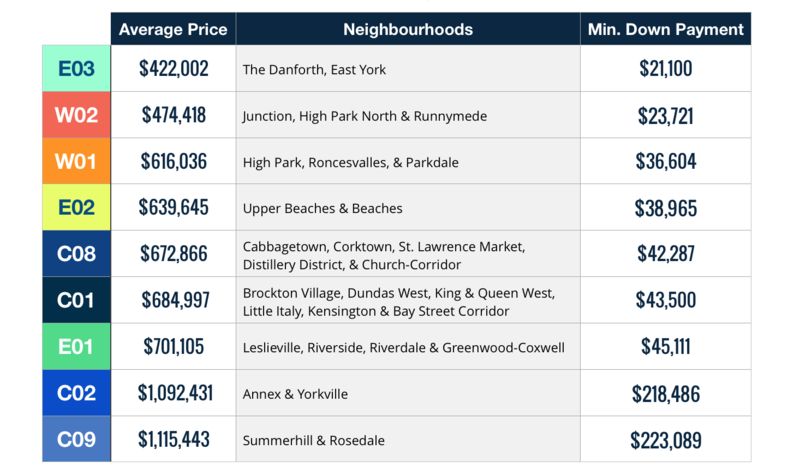 You can easily tell that the Annex and Rosedale neighbourhoods are probably not the best place to buy your first condo — unless you’re rolling in the dough. Keep in mind, these are the average condo prices from all of 2018. As you continue to track the Toronto condo market in 2019, keep your eye on our monthly real estate market reports for updated TREB prices and a more accurate indication on neighbourhood sale prices. The takeaway here: if you can be flexible on the neighbourhood, you may save some serious cash. As condo prices continue to rise, the demand for condos for sale in Toronto under $500K increases. It may be worth keeping your eye on condos for sale in the Junction and along the Danforth where prices are low. We’ve seen condo prices in neighbourhoods like Leslieville and Riverside see tremendous price growth over the last few years due to gentrification and affordability (+50% since 2014! *) so if you’re wondering if you should buy a condo in Toronto, look to neighbourhoods that are up-and-coming. Your realtor is the best person to ask for advice on this. HOW MUCH YOU NEED TO BUY A RESALE CONDO IN TORONTO? When you’re seriously looking at properties, you’ll need to have your deposit funds readily available. A typical deposit is 5% of the overall purchase price and goes towards your down payment. If you’re buying a $500K condo, your deposit needed would be $25K and is usually made 24 hours after an accepted offer or with your offer if you were in competition for the property. How Much Do I Need for a Down Payment When Buying a Condo? The minimum down payment you can make depends on the purchase price of the condo. Any down payment that is less than 20% will require you to pay CMHC mortgage insurance. Here’s a snapshot of what your different monthly mortgage costs would be with different down payments. These are based on a 5 year fixed rate of 3.39% over 25 year amortization. You can see that paying $100K down only saves you $464 per month. Ask yourself, is it easier to save an extra $464 per month or another $75K for a down payment? HOW MUCH SHOULD I BUDGET FOR CLOSING COSTS WHEN I BUY A CONDO IN TORONTO? The amount you will owe in closing expenses will vary depending on the purchase price of the condo. It’s important to account for these expenses when you’re budgeting to buy a condo in Toronto. Land Transfer Tax (LTT) is charged to anyone buying real estate. In Toronto, you pay both a municipal LTT and a provincial LTT. The total amount owed will depend on the purchase price of the property. As an example, to buy a condo in Toronto that costs $500K, a total of $12,950 in Land Transfer Tax ($6,475 both provincially and municipally) is owed. However, if you are a first-time buyer, you may be eligible for a Land Transfer Tax Rebate. On a $500K condo, that would save you $8,475! More on first time buyer rebates later. These typically get lumped together at closing. The cost to have the title of the property changed from the seller’s name to yours can range from $250-$500. Most real estate lawyers will include this fee in their fees. It’s wise to budget $1,500 to $2,000 in legal fees. In some cases, the seller has already paid for property taxes beyond the property’s closing date. If so, the buyer will need to reimburse the seller the difference. HOW MUCH DOES IT COST TO BUY A PRE-CONSTRUCTION CONDO IN TORONTO? The deposit structure on a pre-construction condo will vary depending on the builder and the project, but it is usually 15% over the first year and 5% on occupancy which is three to four years later. HOW MUCH SHOULD I BUDGET FOR CLOSING COSTS WHEN I BUY A PRE-CONSTRUCTION CONDO? Both the Land Transfer Tax and your legal expenses outlined above are the same when you buy a pre-construction condo. However, there are a few additional expenses to budget for when buying a pre-construction condo. Luckily, you have a three to four year build time to save the funds. Both the Tarion Home Warranty and Development Charges are specific to newly built properties and are due at closing. Development charges are taxes imposed by the city of Toronto and passed on to purchasers of newly built property and are used to help the development of the city, such as park levies, education levies, water and sewer levies. On a $500K pre-construction condo you can expect to pay about $1,100 for The Tarion Home Warranty and anywhere from $8K to $10K in development charges. 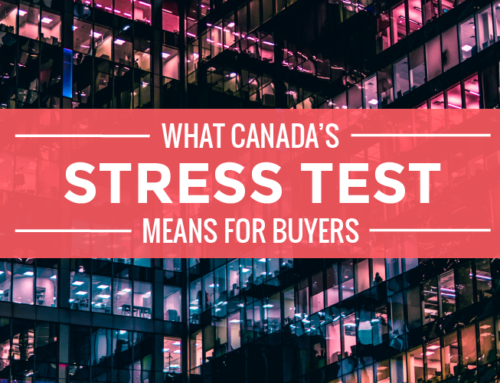 Purchasers who plan on living in their pre-construction condo will have the HST portion of their purchase tied into their mortgage and will not have to have to worry about this at closing. Purchasers who are using their pre-construction condos as investments will need to pay HST upfront to a maximum of $24,000, but are eligible for a full rebate provided they have a one year lease in place. Read more on this in FAQs When Buying a Pre-Construction Condo. 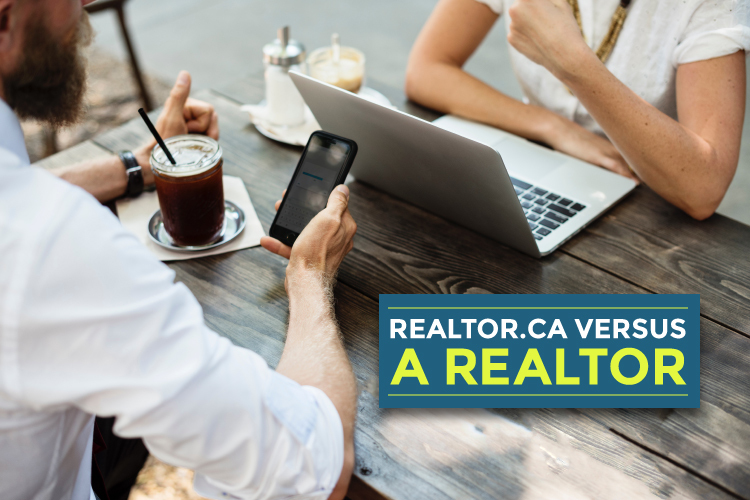 This means that you now need to qualify for a mortgage based on the Bank of Canada’s (BoC) benchmark rate (currently 5.34%) or 2% higher than the negotiated rate (whichever is larger) to ensure that you are able to handle your mortgage payments should interest rates rise. 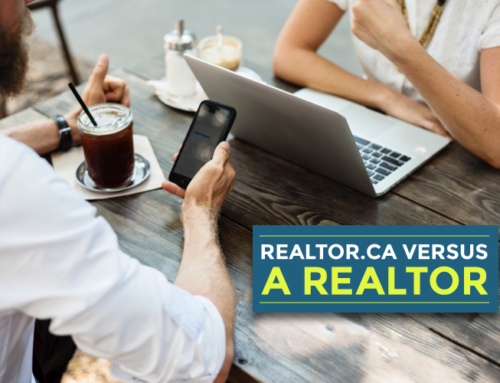 If you have an insured mortgage (less than a 20% down payment) you only need to qualify at the BoC’s benchmark rate or the actual rate offered by your lender. 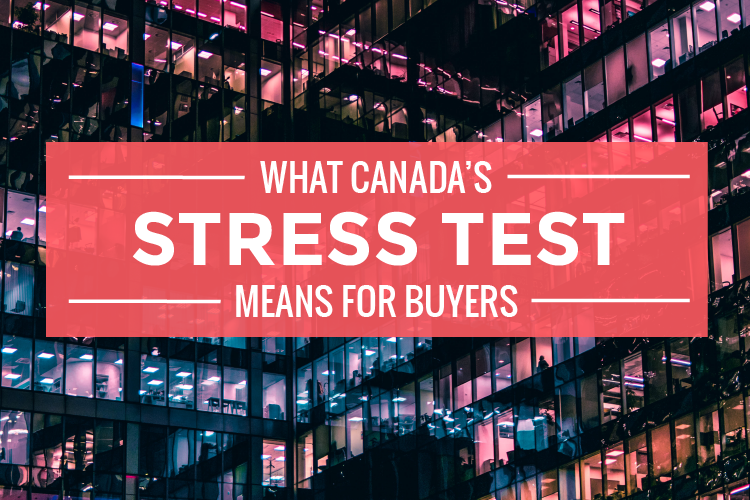 Read more on the Stress Test here. When it comes to getting a good mortgage rate, do your homework. In doesn’t take more than a few minutes to do a quick search online. Websites like RateHub and RateSpy will list the best comparable rates for different banks and lenders. Once you know what the best rates are, approach your own financial institution first. Many banks will give their own customers a better deal for their loyalty. If you’ve done your homework, you’ll know if they’re offering you a good rate or not. Don’t to be afraid to negotiate a better rate. The worst they can do is say no. Beyond the down payment and closing costs you need to buy a condo in Toronto, it’s important to outline the “hidden” expenses that come with buying a condo. Keep these extra costs in mind when it comes to your budget. The government of Canada grants first time buyer rebates to help alleviate the harrowing costs involved with buying your first home. 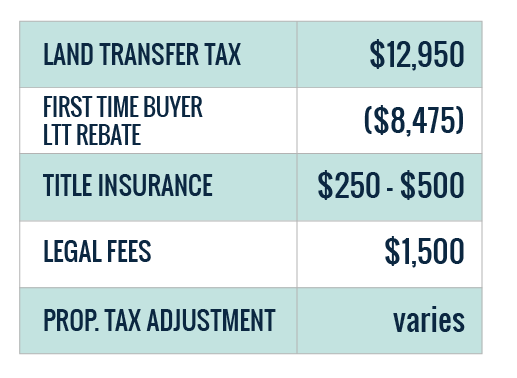 These include a $750 First Time Buyer Tax Credit and a full or partial Land Transfer Tax Rebate. Click here to find out if you’re eligible for the First Time Buyer Rebates and how to get them. 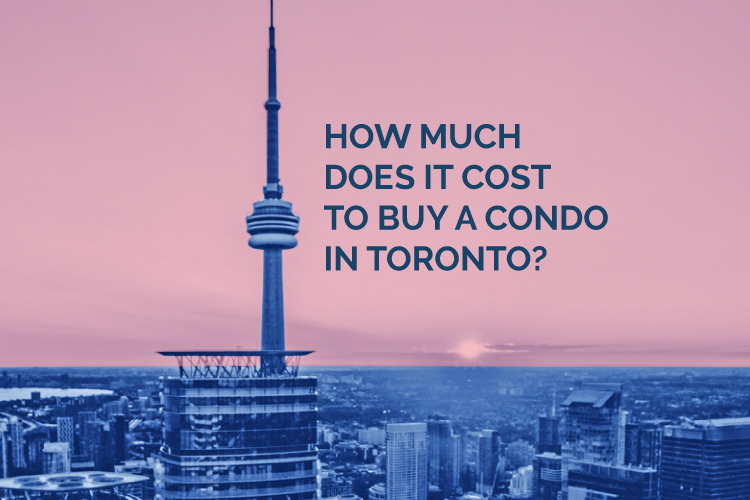 Not only are you now equipped with the full list of costs you need to be aware of when you buy a condo in Toronto, but you also have the tools and tips to decide: should I buy a condo in Toronto? Start searching condos for sale under $500K here or book a call with us to discuss your financial situation and get started on a custom action plan for you! *Based on E01 average condo price for 2018 compared to 2014.